ECOBRAKE was established by a family of Neapolitan entrepreneurs, working since 1960 in the field of the design and manufacturing of innovative and technologically advanced composite materials for the production of friction materials, contact strips for pantographs, friction modifiers in solid sticks and electric motor brushes. 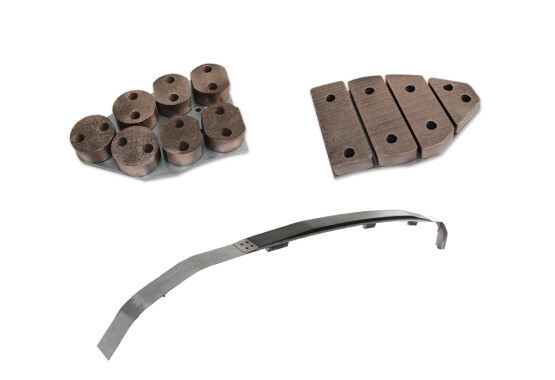 Ecobrake designs and produces with advanced technologies innovative organic and sintered brakes, carbon matrix contact strips for pantographs, friction modifiers in solid sticks to lubricate wheels of railways vehicles. Ecobrake is able to meet any request on the basis of a drawings, sample or technical specifications provided by the Customer. Ecobrake products are manufactured in Italy according to the strictest EU Norms and applying a Quality Management System UNI EN ISO 9001. Ecobrake products are certified, homologated or qualified by the Bodies or Authorities in charge. Selecting the "Confirm" option gives consent to the conditions of the processing of personal data pursuant to Legislative Decree . 196/2003 ..